“I was really interested in exercise [in general] so I would try anything but this [studio] I really loved. 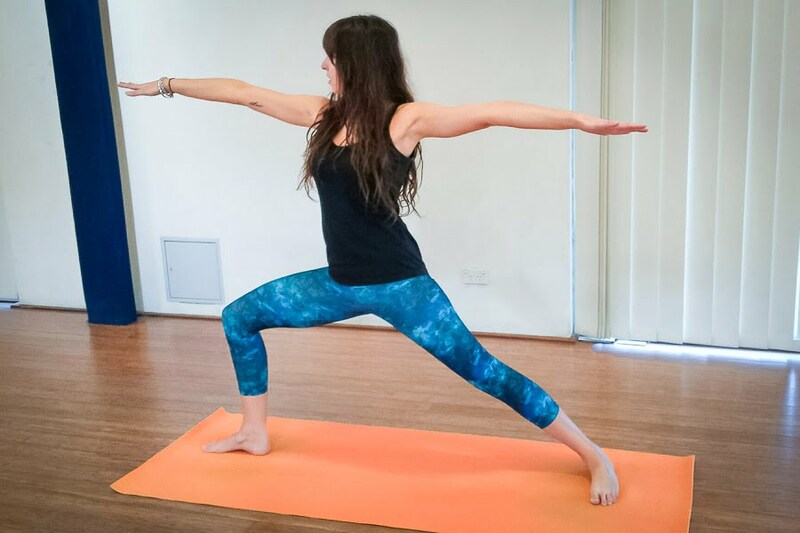 I’d done heaps of different types of yoga before and they never really felt that good and I didn’t feel like I was doing the right thing but as soon as I went to Louisa’s class, I felt so much better”. “Initially I felt better just doing the classes and the movements. I knew that I wasn’t going to get injured, I could do the movements at my own pace with no pressures from anyone in the class and I thought it was really cool that we did yoga in a circle”. The biggest drawcards for Karina about Lunge were the intensive programs that Louisa runs at the beginning of each season. Loving a challenge, Karina jumped straight in to a spring seasonal intensive and hasn’t looked back. It was after Karina’s first few intensives that she began to experience the amazing body and mind health benefits of the intensive programs. From helping her recover from sickness to giving her a needed health routine boost, Karina says she now wouldn’t miss an intensive. Karina finds the intensive programs also help to improve her regular yoga practice. Although Karina really enjoyed the yoga at Lunge after her very first class, it took her a good year to work her way up to her now tri-weekly yoga practice. Initially, the biggest challenge of yoga for Karina was actually getting to class. Working a busy full time job in the crazy media industry while trying to live a social life AND fit in yoga was a bit tricky. Today, yoga is a big part of Karina’s weekly routine. Going to yoga at Lunge has enabled Karina to live her demanding life to the fullest – all without pain, stress or sickness. Back in the day, Karina trained with a myriad of different trainers to work on her body strength and shape. Karina still goes to the gym but more for fitness than for seeing tangible results. Karina has even noticed improvements in herself and ability at work. Being the generous and outgoing person she is, Karina didn’t want to keep Lunge to herself and has invited those close to her to come along and see for themselves. “I’ve brought lots of friends and family with me to yoga and they’ve seen some really great lifestyle benefits as well”.